As coastal populations continue to grow, and as recent landfalling hurricanes dramatically demonstrated, there is need for a better long-term record of storm frequency and impact. Such a record can be used to determine recurrence intervals, guide coastal infrastructure and commercial planning, and set cost-effective insurance rates. At best, current historical records of hurricanes along the U.S. coast are limited to the past 300 years, and reliable instrumental records extend back only half that time. Paleotempestology, the study of prehistoric tropical cyclone landfalls using geological proxies, is a relatively new and, in many instances, controversial science. 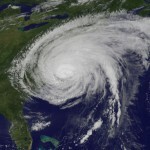 One of the underlying goals of paleotempestological research is the compilation of landfall record of storms of all intensities (Category 1-5) with high spatiotemporal resolution from the last several millennia in order to better understand the recurrence interval of these natural hazards. 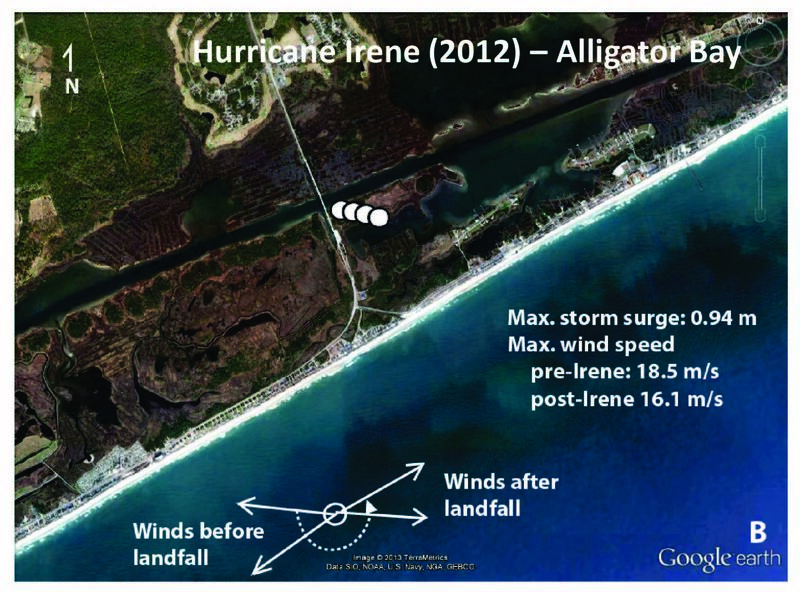 In our recent work, we reported on the Late Holocene hurricane record of Onslow Bay (NC) and the modern sedimentological and foraminiferal signature of Category-1 Hurricane Irene (2012) to provide insights into the preservation potential of storm deposits along the U.S. coast. Our underlying goal was to assess the usefulness of microfossils for the documentation of ancient hurricane strikes and to determine the suitability of such a proxy for creating an accurate record of prehistoric hurricanes of differing magnitudes. 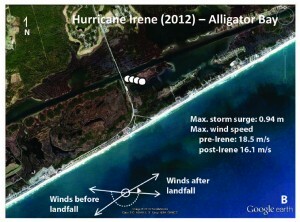 Hurricane Irene produced a minimal signature at only one of the four coastal marsh sites, and only when ideal meteorological conditions were present. This lack of a definitive hurricane signature calls for caution regarding the reliability of such paleotempestological proxies and further questions the current understanding of hurricane deposition and preservation in marginal-marine environments. This line of research is a collaborative effort with Dr. Scott Hippensteel (UNC Charlotte) and Bill Garcia (UNC Charlotte) funded by the North Carolina Sea Grant Program. 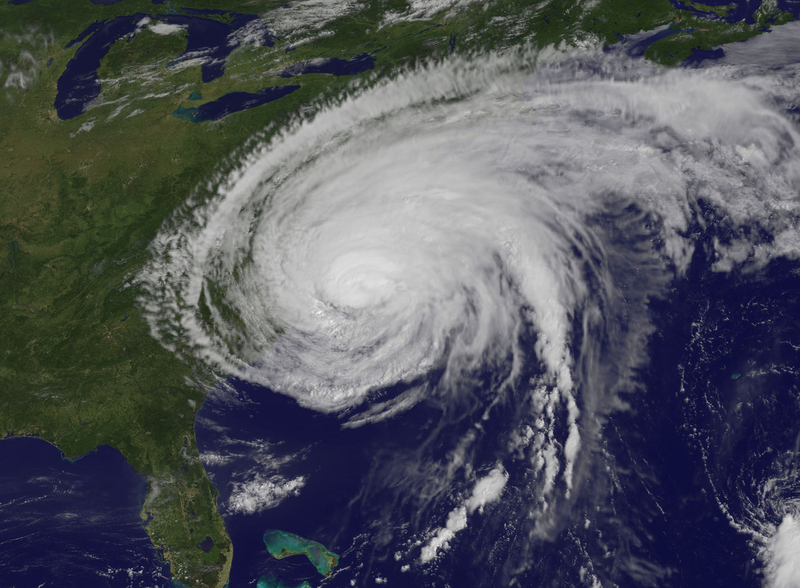 Hippensteel, S. P., M. D. Eastin, and W. J. Garcia, 2013: The geological legacy of Hurricane Irene: Implications for the fidelity of the paleo-storm record. GSA Today, 23(12), 4-10. Hippensteel, S. P., M. D. Eastin, and W. J. Garcia, 2013: Reply to “Comment on The geological legacy of Hurricane Irene: Implications for the fidelity of the paleo-storm record” GSA Today, 24(5), e30-e31.